This is one of our favorite Frisco website designs, built for Frisco Gynecologist Kathryn E. White MD. This website has a quick contact form on the home page so that Dr. White’s clients have easy access to make a request. 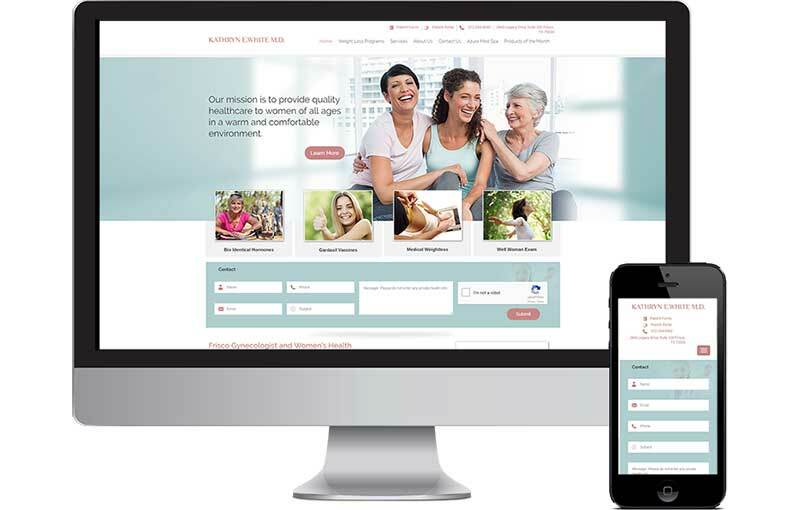 The soft colors and happy faces in the design reflect the atmosphere at the practice and mobile responsive view gives the patients easy access to the things they need when visiting the site on their phone. Appointments and conversions are thru the roof with this new design and Dr. White enjoys a steady stream of new patients. Seota has a long history of helping OB GYN doctors dominate their local market with outstanding SEO services. Above the fold contact form with easy access in the mobile website version. Easy access to directions, the phone number and new patient forms makes this site very mobile friendly. Custom built from the ground up.